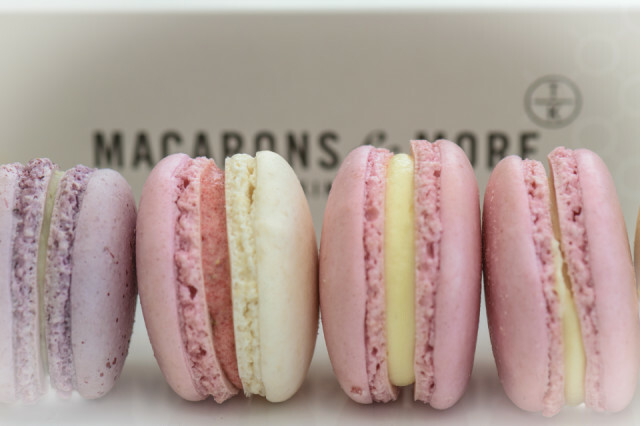 Macarons and macaroons are entirely different., a macaroon is coconut based, whereas a macaron is meringue based. Certainly, macarons are completely delicious and addictive, so I was delighted when M insisted that we buy a box for me when we were passing ‘Macarons & More’ in the Royal Arcade yesterday…well, I didn’t need to be asked twice! There were plenty to choose from, but my selection consisted 2 x salted caramel, 2 x rose, 1 x strawberries & cream, and I x lavender. I had the two salted caramel ones yesterday…absolute heaven, and, they are also very photogenic…so perfect for a blip!